Finding the features in the center of Fuerstenwalde, by which both children and adults can be inspired, and develop new potential – that was the task of the city walk which led the class 5b of the Sun Grammar school in Fürstenwalde-Nord in icy temperatures across the train station and city park into the center of the “Cathedral city”. 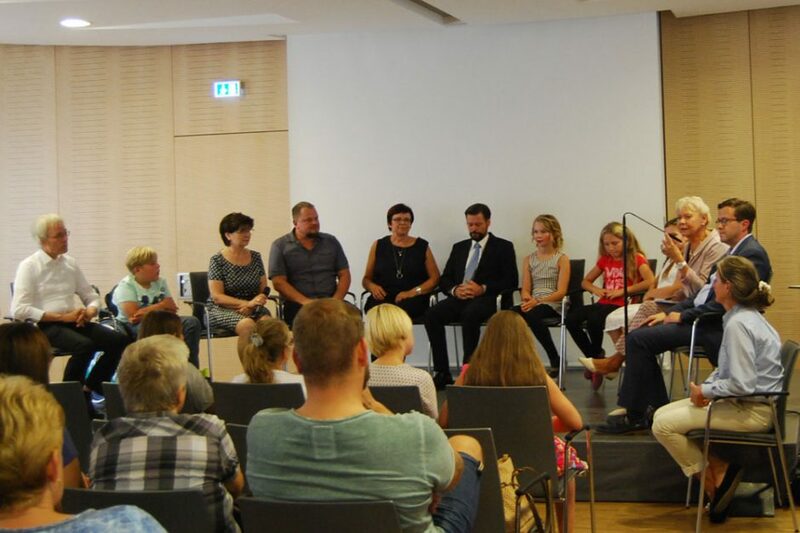 In the subsequent workshop with project support Alexander Paul, it quickly became clear that the special feature of Fuerstenwalde really is the division into three parts which are separated from each other by the railway tracks and the Spree river. Slowly, priorities from the student’s point of view emerged for the development potential of the city. 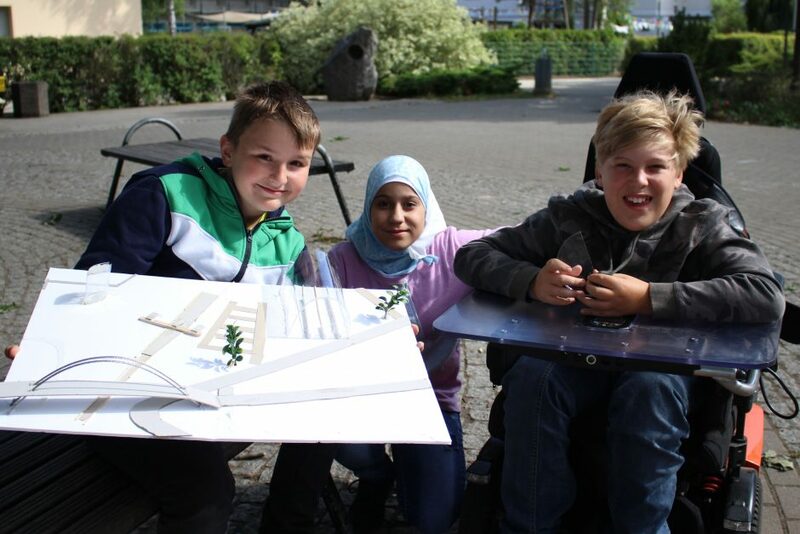 The city park between Bahn and Spree met with outstanding interest among the students, for whom three groups made suggestions for a climbing park, a playground for small children with a parents’ café and another playground around the fountain. The cathedral aroused the interest in history, details of the building and also in the topic of religion, which in the very heterogeneous class partly had a different cultural background and partly was not present at all. Their fascination they want to pass on o the visitors of the city by the sale of a Cathedral quiz and a new Cathedral shop right next to the church. Another group has developed improvements around the station. Enthusiasm for the history of railway developed into a guiding theme in a city that owns one of the oldest railway stations in Germany. For the fallow tracks north of the station, the group suggests a glazed railway museum. Feasibility is one of the main concerns of the students, so that many concepts were also calculated economically – a surprisingly pragmatic approach of the young generation with regard to the realization of their ideas. 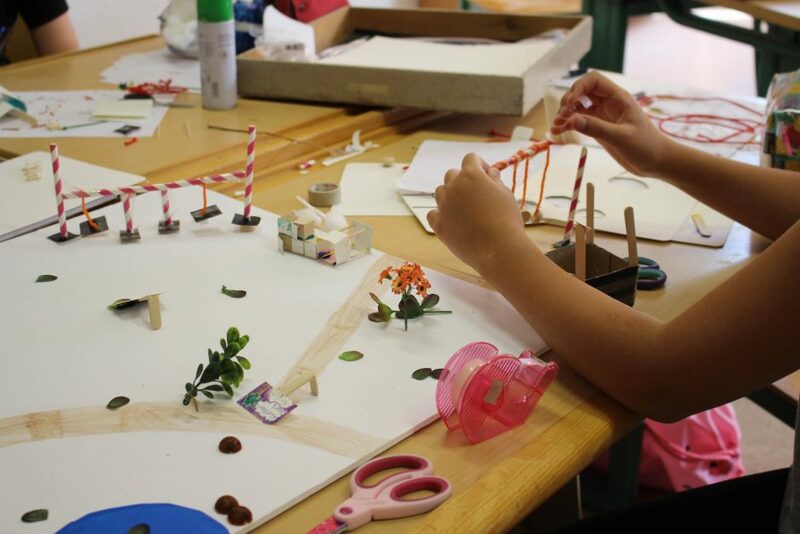 In the talk, Mayor Rudolph and Urban Development Director Tschepe then stated that many of the children’s ideas are in line with city policy priorities. For instance, playground equipment has recently been added to the city park, the Cathedral quiz is currently published by the museum and also the suggestion of the station team for a new road bridge over the railway tracks could bring this topic again onto the agenda of city politics.